Congratulations to Brian Heinmiller (Std, Dual Stick, 2200, S/N 0134) who flew his Sonex Aircraft for the first time today. Gold wings are on the way! Check out the latest Sonex Completions. The FAA completed evaluations of the Waiex and Xenos Kits in October 2005 for compliance with the “major portion” requirement of 14 CFR section 21.191(g). Sonex,ltd is pleased to announce that both kits were approved on October 21, 2005. 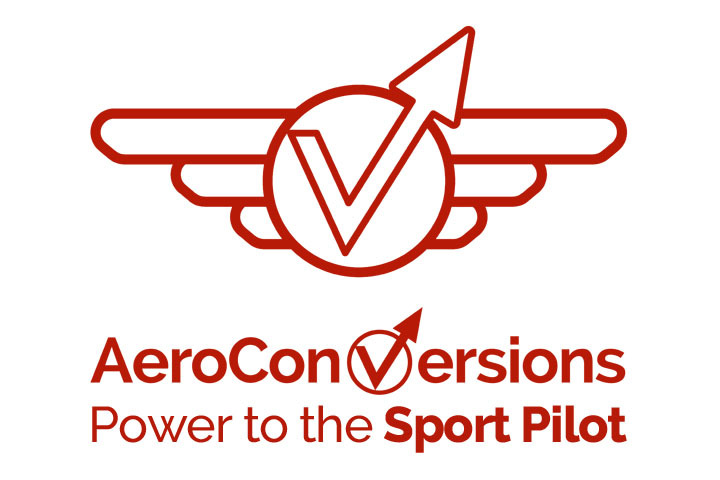 This approval ensures all Waiex and Xenos Builders will have a smooth road in Registering their aircraft. It also ensures all foreign customers whose governing aircraft agencies use the FAA’s Amateur-Built Aircraft Kit list for compliance can now build the Waiex and Xenos. 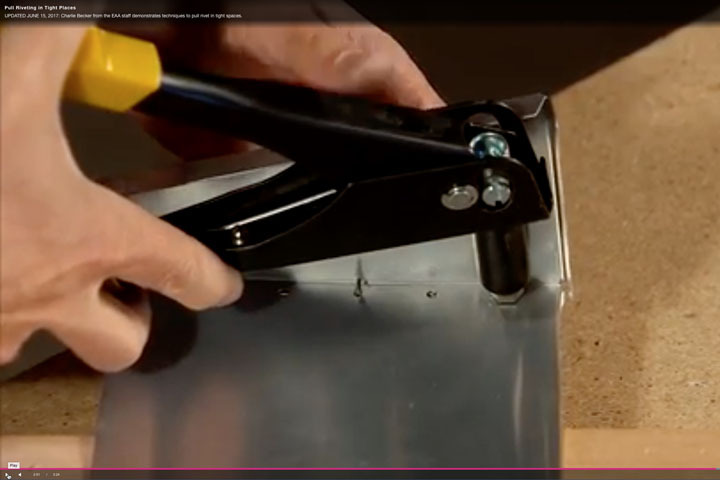 Sonex held another very successful workshop this weekend. 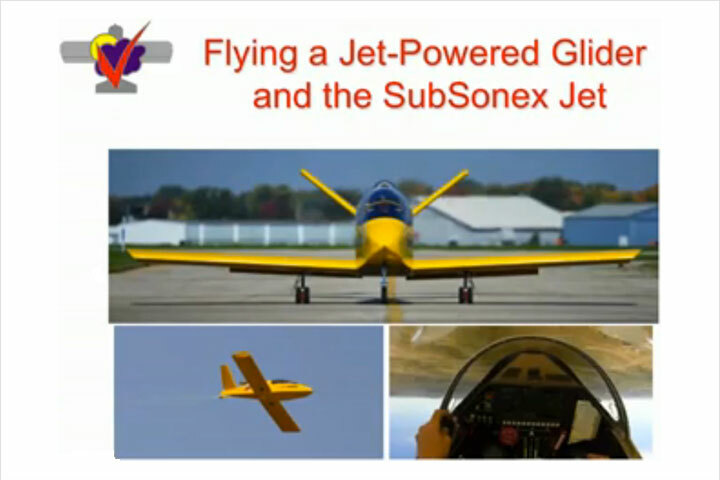 Over 60 attendees learned about the entire Sonex,ltd Product Line, saw multiple flight demonstrations, and constructed their own workshop project. The next Sonex workshop is scheduled for February 4-5, 2006. 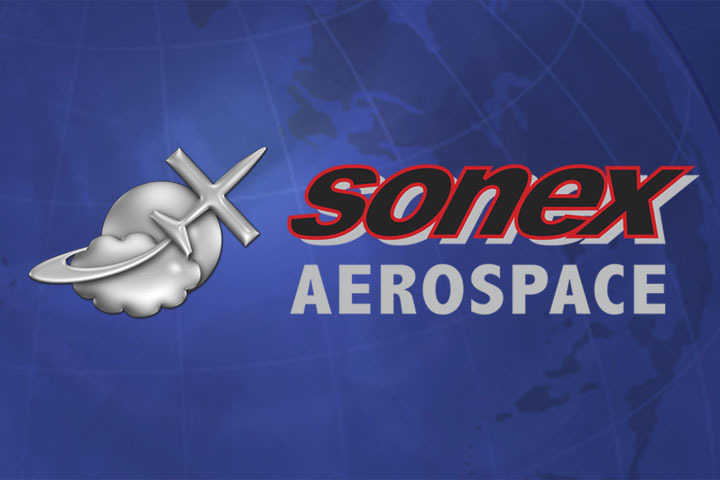 Sonex, Ltd. is also pleased to announce that the world’s fastest ultralight, the Monex, and prototype Sonerai I are on loan from the EAA Museum. These aircraft are a beautiful addition to the Sonex Factory showing the lineage of the Sonex Family of Aircraft. Congratulations to Art Krueger (Std, Dual Stick, 3300, S/N 0095) who flew his Sonex Aircraft for the first time today. Gold wings are on the way! Check out the latest Sonex Completions. Congratulations to Richard Kosi (Std, Dual Stick, AeroVee, S/N 0659) who flew his Sonex Aircraft for the first time this weekend. Gold wings are on the way! Check out the latest Sonex Completions. Congratulations to two new Sonex Pilots! 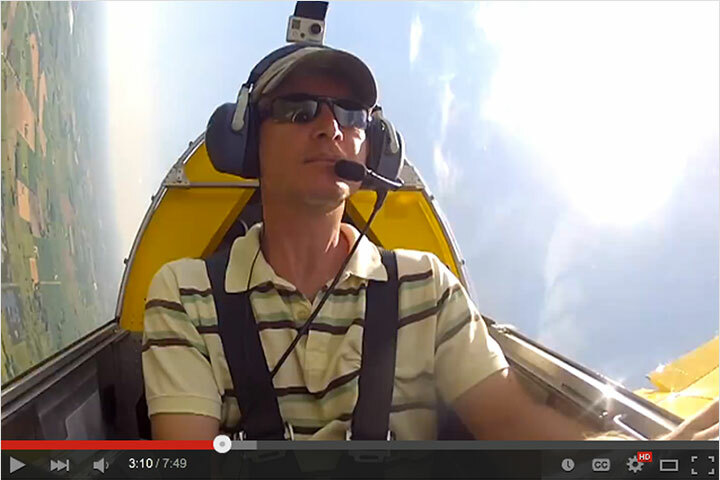 Bernie Schaknowski (#0038) flew his 3300 Jabiru powered Sonex in Syracuse, NY on September 4th. Ronald Rasmussen’s #0224 , a tail dragger powered by the 2200 Jabiru was flown for the first time by Dane Rasmussen on September 8th at Medina, Ohio. These are the 99th and 100th Sonex Aircraft to fly worldwide! Check out the latest Sonex Completions. Please note a change to the Sonex workshop schedule for 2006 with the May workshop, which has been moved to May 5th and 6th. Eldridge Fleming (#0634) made the trip to Oshkosh from Tupelo, MS. A heartwarming story on Eldriges AeroVee-powered Sonex construction experience appeared in the July, 2005 issue of EAA’s Sport Pilot Magazine. 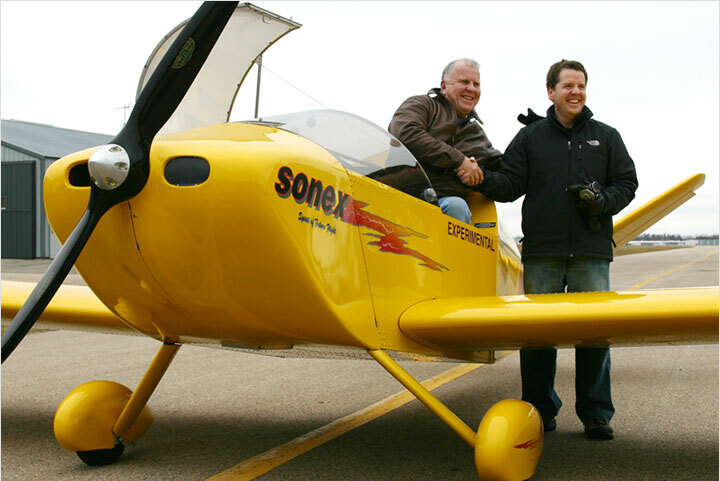 One of the first Sonex Aircraft to Fly belongs to David Koelzer (#0036). His 3300 Sonex has flown all over the midwest and regularly patrols the skys above Marion, Iowa. Tony Lewis (#0447) of Winter Haven, Florida made the trip to Oshkosh for the third straight year in his AeroVee powered Sonex. He’s been to the Great Lakes to the Florida Keys in his Sonex and just passed 370 flight hours. Sam Pavel (#0346) from South Bend, Indiana flew in early to volunteer at the show and had his Sonex featured in the Bargain Homebuilts Area. His plans-built, AeroVee-powered Sonex was completed for under $20,000. Marty Smiltneek (#0173) has also been flying all over the midwest in his 3300 Jabiru powered Sonex. The stars on his tail were all placed by kids who have come running up to his airplane at the various fly-ins he’s attended. Marty was standing by his airplane most of AirVenture answering questions about it.